Asking senior counsel A.D.N. Rao appearing for the Archeological Survey of India (ASI) to take instructions a bench of Chief Justice Dipak Misra Justice A.M. Khanwilkar and Justice D.Y. Chandrachud said that once the Board pressed its right over the monument then it has to adjudicate the issue. "Once you have registered the monument as a Wakf property your statement that you will not be staking claim will not help " said the bench. 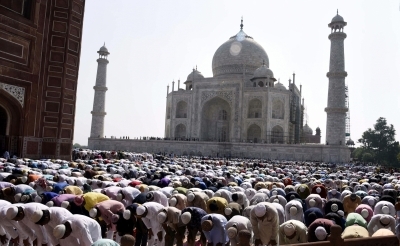 In its earlier hearing on April 11 the apex court had asked the Wakf Board to produce an original title document bearing the signatures of Mughal Emperor Shah Jahan to prove its claim.